SUMMARY: Becoming an Ancestor is a collection of poems about my ancestors, my contemporary family, and mortality. My mother’s mother, who was half Wampanoag, died when my mother was a child, and my mother was raised by a white couple who taught her to hide her Native American heritage. The poems in Becoming an Ancestor tell that story and many more. My ancestors include a German baron, a Wampanoag chief, Mayflower passengers, soldiers who fought in the Civil War and the American Revolution, teachers, millers, milliners, ministers, accountants, housewives, farmers, and myriad others from all walks of life. THE BACK STORY: The earliest poem in Becoming an Ancestor was written in 1975, the latest ones in 2013. Probably needless to say, I do not work on one book at a time. During the time between writing the first poem and the last one in this collection, I published eight other books of poetry. I’ve always been interested in learning what I could about my ancestors, and I embrace whatever I can learn about them, good or bad. My first grandchild was born in 2003, and when I started writing poems about my grandchildren, I realized that their stories were continuations of the stories of my ancestors, and I found myself going back and forth between writing about my grandchildren and writing about my ancestors. The birth of descendants is part of becoming an ancestor, but death is part of it too. My elder daughter died in 2013, and I felt that my poems about her illness and death belonged in this book. WHY THIS TITLE? : “Becoming an Ancestor” is the title of a poem in this collection. With the births of my grandchildren, it became clear that I was becoming an ancestor. Moreover, writing this poem, I recognized that each and every one of us is becoming an ancestor. We are the foremothers and forefathers of those who will follow, and it does not matter whether we have biological descendants or live to a ripe old age: we are becoming ancestors all the same. WHY WOULD SOMEONE WANT TO READ IT? Our family histories tell the story of human history. It gets tiresome hearing the stories of kings, queens, presidents, and celebrities, as though theirs were the only stories. All of our stories matter, and they all converge in a great confluence to create the true history of humanity, nations, and the world. “Soulfully thrilling, the poems in Becoming an Ancestor constitute—historically, geographically, emotionally, caringly—a mindful poet’s family picture album. Following centuries of fateful migrations, Lucille Lang Day becomes the California teller of tales that wow us with her own intimate versions of how need, time and again, restores our lives to living streams of love.” — Al Young, California Poet Laureate Emeritus. “Becoming an Ancestor carries us from the very beginning of this great clock-universe through human migrations to the bitter end, where however a horned lark is singing beside a field of silver hairgrass in winter. When this confluence produces Lucille Lang Day, who sings the world as both a family member and a scientist, and her daughters and grandchildren, they appear in the life-lines of her poems both as the homecoming of historical pilgrimages and as intertwining swirls of DNA. Here too the endings can be bitter as family members slip away. But the music of her poetry remains.” — — Emily Grosholz, Advisory Editor, The Hudson Review. AUTHOR PROFILE: I am the author of ten poetry collections, two children’s books, and a memoir. In addition, I have coedited two poetry anthologies, including Fire and Rain: Ecopoetry of California (to be released in October 2018). My honors as a writer include the Joseph Henry Jackson Award in Literature, the Blue Light Poetry Prize, two PEN Oakland Awards, and nine Pushcart Prize nominations. 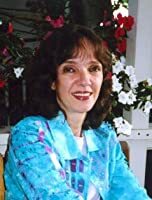 You can read about all of my books on my website: http://lucillelangday.com. Before I became a writer, I was a junior high dropout, teen mother and juvenile delinquent. My memoir, Married at Fourteen: A True Story, tells about this period of my life. In brief, I got married at 14, gave birth at 15, divorced at 16, married the same man again at 17, and left him for the final time at 18. I disliked being a welfare mom and phone girl at Chicken Delight so intensely that I went back to school and became a schoolaholic, ultimately earning a B.A. in biological sciences, M.A. in zoology, and Ph.D. in science/mathematics education at the University of California at Berkeley, as well as an M.A. in English and M.F.A. in creative writing at San Francisco State University. In addition to doing creative writing, I had a long career as a science writer and science educator. I also served as the director of a health museum for seventeen years. I eventually got the marriage thing right. My present husband is writer Richard Michael Levine. We live in Oakland, California, and love spending time with our four grandchildren. 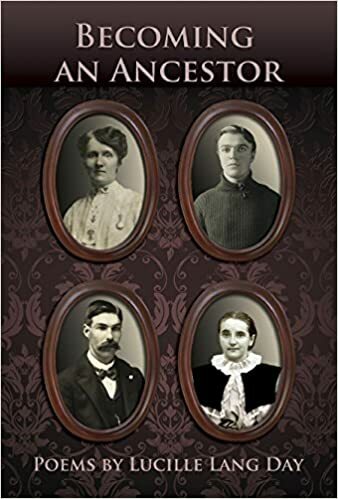 AUTHOR COMMENTS: Many people have told me that Becoming an Ancestor has inspired them to research and write about their own ancestors. That’s wonderful! The Internet has made genealogical research much easier than it used to be. Plus, many of us have old diaries, letters, and photograph albums we can turn to. We also have older family members who can share their memories and tell us things they learned from their own parents and grandparents. This both strengthens our family ties and helps us understand ourselves better. I’m very happy to know that I have helped to catalyze this process for others.